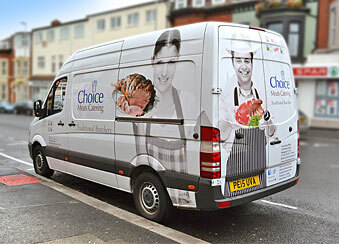 Choice Meats provide a professional butchery service and catering supplies to many businesses in the Fylde area, the North West of England and beyond. We are proud of our reputation for great service and high quality. Our fresh meat is professionally prepared for you at our EC cutting plant in Poulton by our skilled and experienced butchers. This enables us to bring to our customers the consistent quality that they expect at value for money prices. We offer beef, pork, lamb, poultry and game, to our large selection of deli products that includes home cooked beef, pork, lamb, various hams as well as individual & plate pies and various cheeses. Businesses that we currently supply include hotels, (large and small), restaurants, cafes, pubs, schools, colleges and care homes. If you would like to know more about how we can help your business, talk to our friendly team on 01253 501671 or enquire by email and let us have your details so that we can call you back. Please download our terms and conditions and credit application form here to apply for an account with us. Please download a customer information request form using this link.